Discover the reason for the sloth's slowness and how this has been an evolutionary advantage. Sloths lead a solitary life consisting of minimal physical activity. Sloths descend from the forest canopy once a week to urinate and defecate. Sloths feed mostly on leaves, which take a long time to digest and have little nutritional value. 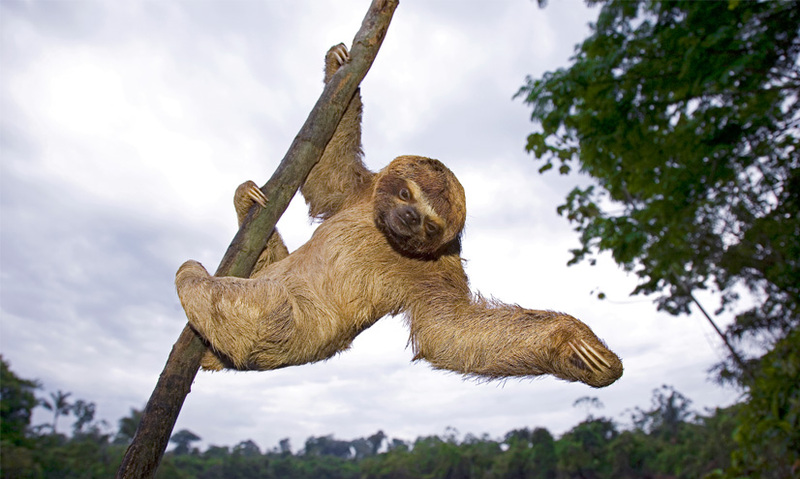 The sloth's slow-moving life helps it to keep energy expenditure low. The sloth leads a slow-moving solitary life consisting of minimal to no physical activity. This is what they do all day. Hanging about in trees, upside down and half asleep.